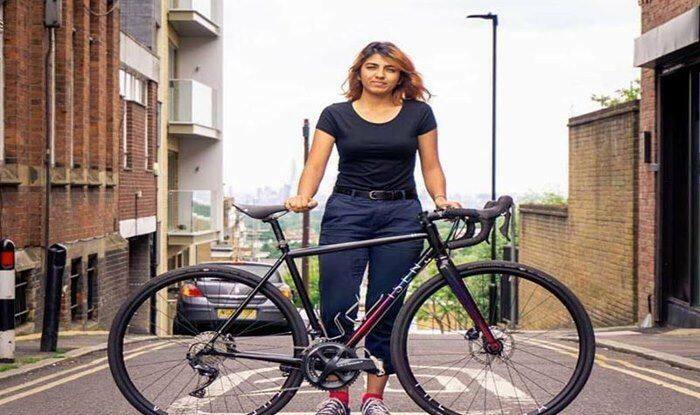 In an incredible feat for any Indian, 20-year-old Pune girl Vedangi Kulkarni has become the fastest Asian to cycle the globe. Talking to PTI over the phone, Vedangi said the 159 days spent peddling up to 300 km a day in 14 countries has shown her the “best and worst” of both herself and also the world. She did not have anyone accompanying her for over 80 per cent of the route and lugged the cycle with the heavy luggage that includes cycle tools, camping equipment and clothing in desolate stretches all alone. A short flight took her across the international dateline to Western Canada’s Vancouver, from where she continued her eastward journey till Halifax, a port city. Europe beckoned next and she chose chilly Iceland to start it all up and later cycled through Portugal, Spain France, Belgium, Germany, Denmark, Sweden and Finland to enter Russia. “My parents have done a great job in giving a 19-year- old (she turned 20 on the ride) all the required mental support and encouragement to explore the world, standing strong when the going got tough, always being on the other end of the phone and at not letting the curiosity die out due to ill experiences even though the parental instincts told them otherwise,” she said. Her father Vivek Kulkarni said, “It’s her dedication and willpower to achieve her dream which ensured the success and I am sure there are many more to come.” Vedangi, who entered the City of Joy in the wee hours, will be taking the earliest flight out to reach Perth and cycle a 15km distance to reach the same place from where she started her journey. “I feel privileged being so close to the finish line with my parents by the side. We all can do better with a little more support from our own people. We all need someone who wont let that curiosity die!” said a beaming Vedangi.